Passionate about local, healthy, sustainable food? Got some time on your hands to give to a worthwhile cause? Then why not volunteer for Made In Hackney. Are you friendly, organised and good with people? Knowledgeable about global food issues and keen to share this information with others? Would you thrive off supporting and encouraging people to do their best in a MIH cookery class? Then this could be the post for you. Sense of humour, patience and knowledge of food issues all essential. Are you a campaigner, fundraiser, carpenter, plumber, up-cycler, tech person, PR, photographer, filmmaker, copy writer, designer or artisan food maker? Want to offer your services pro-bono to a worthwhile local cause where you can really see its impact? Then why not get in touch with MIH to see how you can contribute to the Made In Hackney local food mission. Do you like meeting people? Working outside? Being at a market or festival? 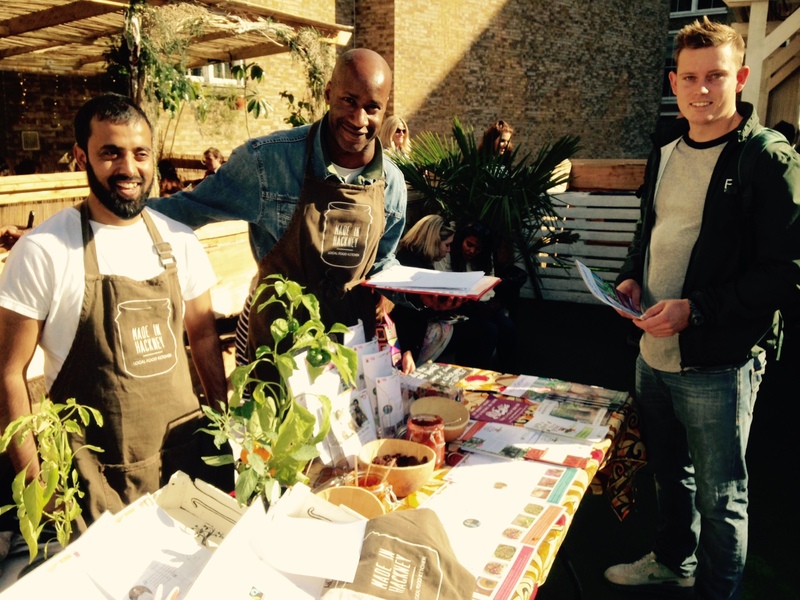 We'd love you to join our team of Events Volunteers to help us set up and run a Made in Hackney Information stand at markets, shows, fun days and festivals. These may include Stoke Newington Farmers Market, Broadway Market, VegFest, The Restaurant Show, Woodberry Downs Estate Summer fair and many others. You will need to be a good organiser, confident to deal with the public and happy to work independently with other volunteers, sometimes taking the responsibility to set up the stand in the morning or pack up at end of the day. To apply for any of the above please fill in an Application Form and an Equal Opportunities Form, and send them to us with your CV and a covering letter explaining why you’re interested in the role. If you need assistance completing this application form or need to complete a paper copy please call us on 02084424266.